In Parker v. State, decided on June 6, the Mississippi Supreme Court held that Miller v. Alabama, decided by the U.S. Supreme Court in 2012, applies to cases involving juveniles sentenced to life imprisonment for murder. In Miller, the Supreme Court held that imposing mandatory life-without-parole sentences on juveniles violates the Eighth Amendment’s protections against cruel and unusual punishment. Miller does not prohibit life-without-parole sentencing of juveniles, but rather, declares that imposing mandatory life-without-parole sentences on juveniles violates the Eighth Amendment. Parker, who was sentenced to life in prison, challenges his conviction and sentence. Parker was 15 when he was sentenced to life in prison for murdering his grandfather. He will not become eligible to apply for conditional release until he turns 65 – as many as 50 years after his initial sentencing. Consequently, the Court determined that Parker was essentially serving a life-without-parole sentence, in direct violation of Miller, since Parker was not afforded an individualized hearing to present mitigating evidence, including his youth and immaturity, to determine his parole eligibility. Although the Court decided unanimously that Miller applies to juveniles sentenced to life imprisonment in this state, the Court split 5-4 over whether to conduct separate sentencing hearings to determine parole availability. Juveniles convicted of murder, which carries a mandatory life-without-parole sentence for adults, should not be grouped into the same category as adults. Instead, the judge and jury should consider the offender’s youth and relative lack of life experience before determining whether to allow the possibility of parole for juvenile offenders. 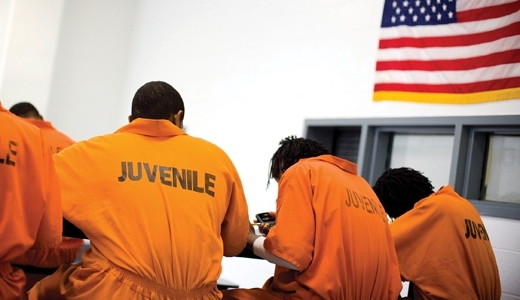 Juveniles should be afforded individualized sentencing hearings to allow the judge and jury to consider the juvenile’s relative inability to appreciate the consequences of his or her actions, the juvenile’s potentially-troubled family life, and the possibility of the juvenile’s rehabilitation, before determining whether to extend parole-eligibility to juveniles. Prior to Miller, Mississippi courts were not required to hold individualized hearings to determine whether to extend parole-eligibility to juveniles. Although the Mississippi murder statutes do not explicitly require those convicted of murder to serve life sentences without the possibility of parole, the current interpretation, and enforcement, of the statute infers that those serving life sentences for murder are not eligible for parole. Therefore, Parker asked the Court to apply Miller, which mandates individualized sentencing hearings for juveniles, taking youth and other relevant characteristics into consideration. The Court struck down the State’s argument that “conditional release” opportunities satisfy the dictates of Miller, ruling that conditional release is fundamentally different from parole. The majority in Parker notes that the trial court did not commit error at the time of sentencing, because Parker received the only sentence available under state law – life imprisonment. In compliance with Miller, the Court affirms Parker’s conviction, but vacates his sentence and remands the case to the Circuit Court of Copiah County to conduct an individualized sentencing hearing to determine Parker’s eligibility for parole, taking the youth’s upbringing and relative immaturity into consideration. Justice Kitchens concurs in part and dissents in part. All nine justices agree that Miller applies to juveniles in Mississippi, but Kitchens agrees with the State’s argument that rather than conducting two hearings for juveniles sentenced to life imprisonment, the Court could decide that Section 47-7-3(1)(h), which imposes life-without-parole for those convicted of murder, does not apply to juveniles. Kitchens advocates this approach because it is simple and conserves judicial resources. Since the trial court has already imposed upon Parker the only statutory sentence available to juveniles – life imprisonment – it is not necessary to remand this case for a new sentencing hearing. Kitchens believes the majority is intruding upon legislative territory.